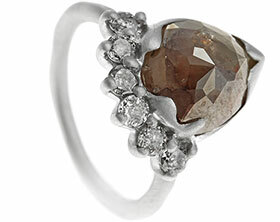 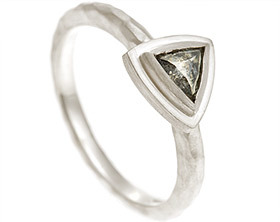 This unique engagement ring features an unusual 0.50 carat rose cut grey diamond. 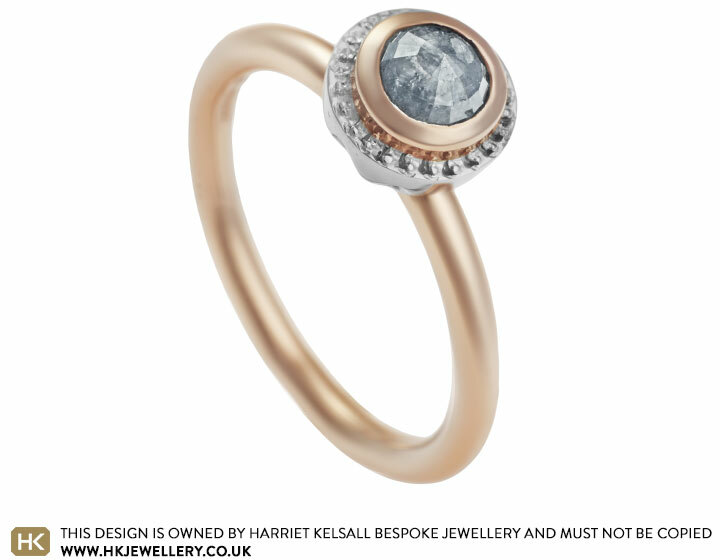 It has been all around set in 9ct rose gold as the pinky tones of the gold perfectly contrast with the soft grey diamond. 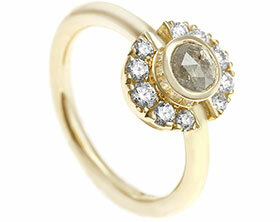 Hand applied beading detail has been added around the central setting to give a subtle vintage feel and sparkle. 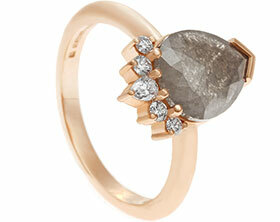 Taking inspiration from roses, the basket detail under the central stone has been crafted with delicate petal cuts. 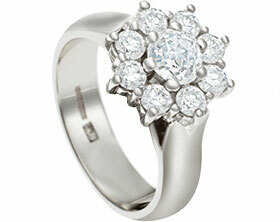 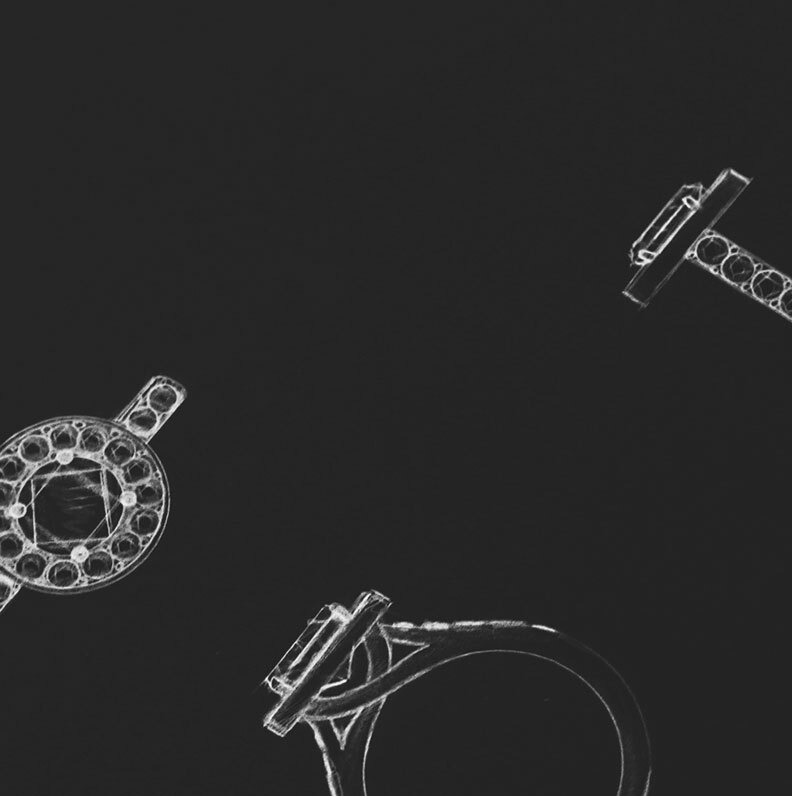 The use of un-rhodium plated 18ct white gold with its richer taupe colour, mirrors the central diamond. 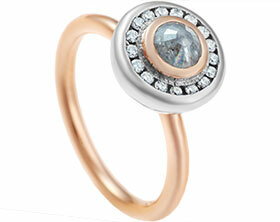 The 9ct rose gold halo profiled band finishes the feminine look of this unusual and subtly sparkly design. 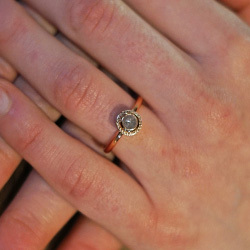 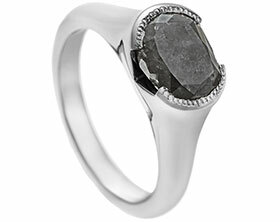 Ian and Ruth's bespoke charcoal diamond engagement ring.